There were three individual males, a new record, seen together from the windows here recently. 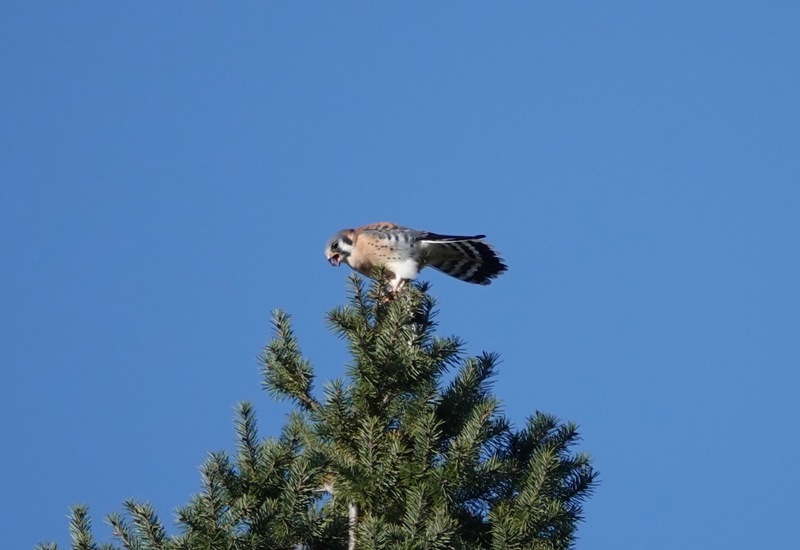 There was much tail-pumping amongst the trio as they perched near each other on building and tree. 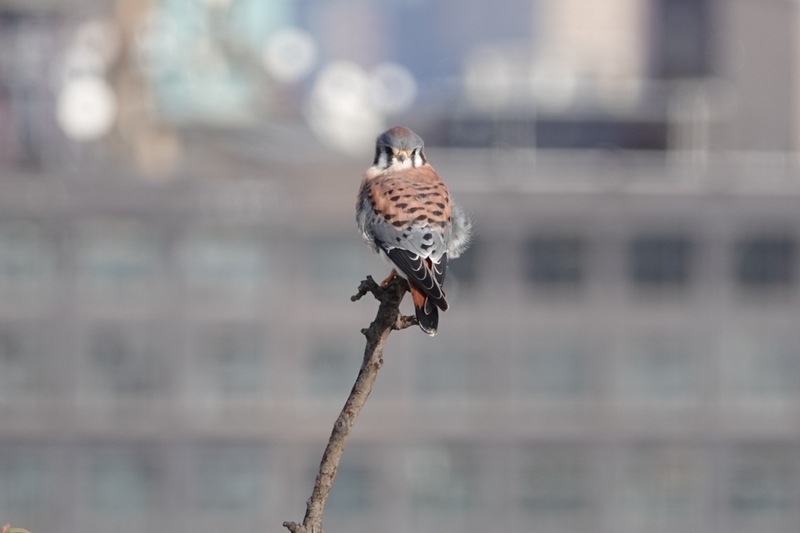 Over in Green-Wood, fifteen blocks away, more small falcon activity. Two separate males have been spied within a short distance from each other on several occasions. 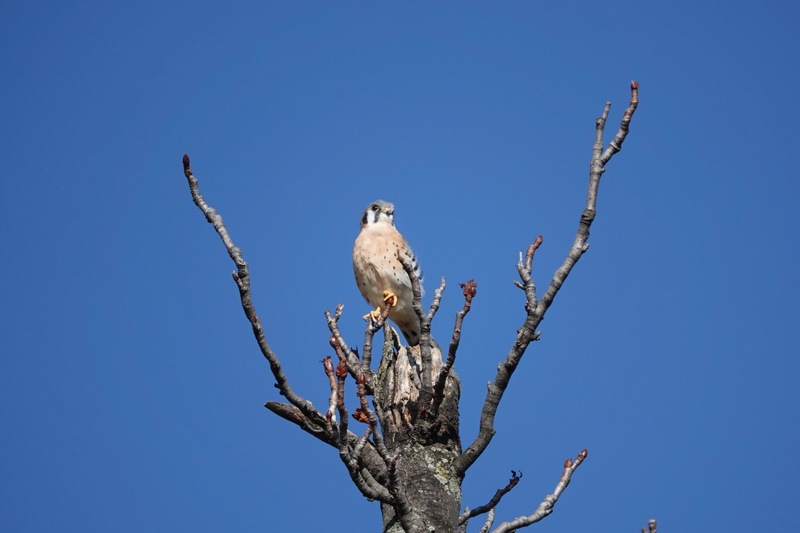 A male and female have now been seen together atop the main entrance to Green-Wood twice, four days apart. 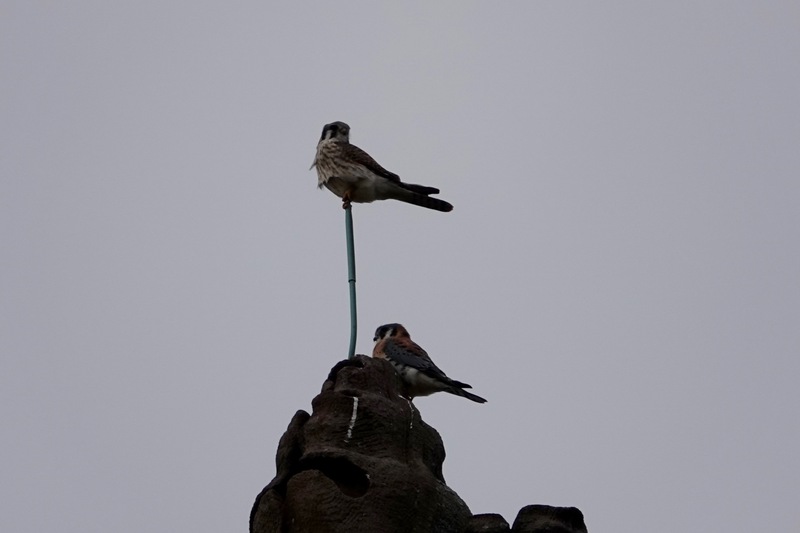 The female has perched on top of the lighting rod each time. 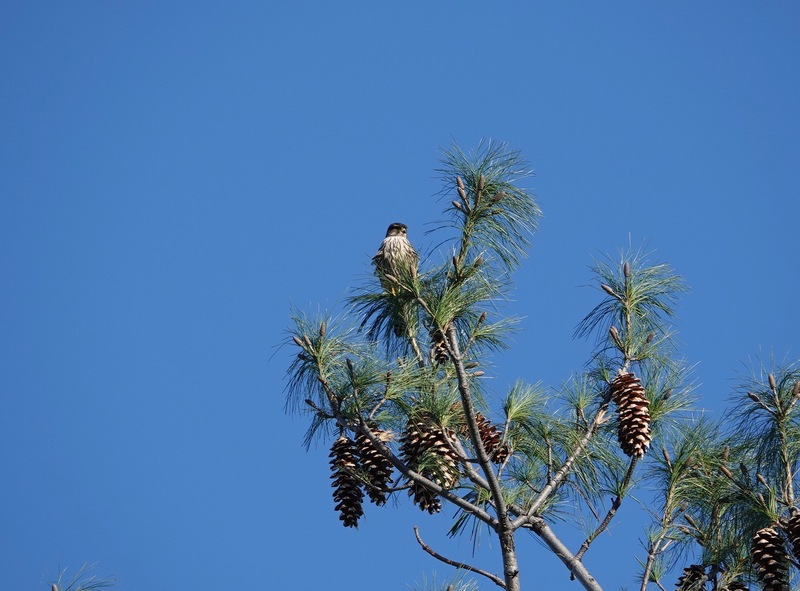 During the second sighting, a Merlin was perched nearby on a tall pine. 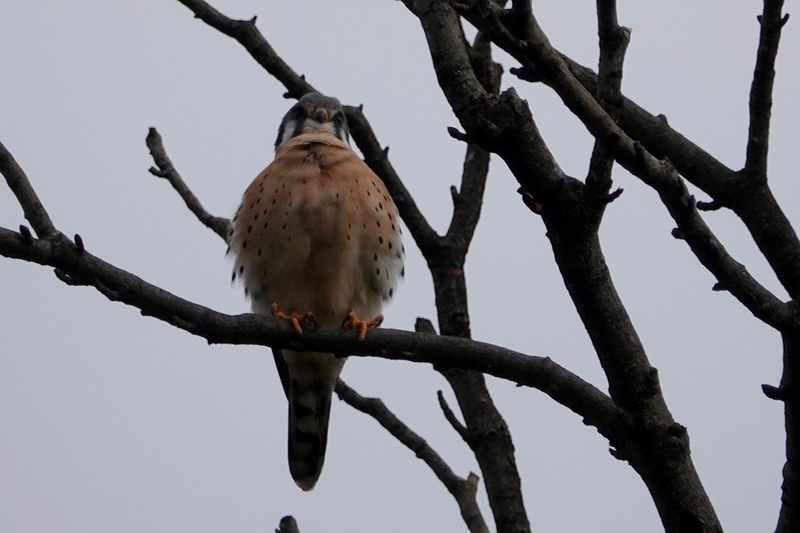 This male kestrel was spotted plucking and eating some songbird prey.